This week in the Global Social Impact seminars, we talked about the cultural context presented in Sierra Leone. In Sub-Saharan Africa, healthcare resources may be extremely strained especially with regards to emergency care. Often times, people wait to seek medical treatment until the burden of their particular disease becomes too great. With the introduction of screening, we plan to address this problem on two fronts. 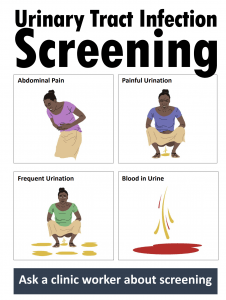 The first is screen early, and the second is sensitization to risk factors/symptoms during the screening process. Another interesting example of how cultural issues may affect Ukweli is the concept of community leaders. Yet another key stakeholder for this venture, community leaders can either make or break Ukweli. In Sierra Leone, community leaders come in many forms such as Chiefdom Heads, Religious Leaders, or the Matriarchal Head of House. Our idea is to leverage these community leaders to support our venture by encouraging pregnant mothers to get screened for UTIs. This will ensure that the overall health of their community progresses. My last example of cultural issues that affect Ukweli is the use of Alternative Medicine Practitioners. AMPs are most common in the rural parts of Sierra Leone and are extremely difficult to compete with in terms of healthcare. The biggest issue that we are facing is changing the mindset of people who have relied on AMPs for generations. We plan to address this particular issue by the use of extensive marketing strategies such as i.e. radio programming and engagement with community leaders. Another way to analyze these issues is to see if I have any personal connection. Here is one story, I have not shared since high school. For context, I typically overwork myself and neglect the basic responsibilities of eating and sleeping for the sake of getting things done (I know this is unhealthy… I’m working on it). So once upon a time in Whitehall High School, I was in a play. Naturally, I was also taking 4 AP classes, a Dual Enrollment class, and the President of literally everything I was a member of so sometimes sleeping and eating did not happen. Fast forward to the spring of that year, it was the opening night to the play and I had a huge abscess on my neck! I will spare you the gruesome details. Moral of the story, I should have gone to the doctor two weeks earlier. Instead, I waited until it was hard for me to breathe then I stayed in the hospital for 9 whole days. Yikes right? This connection is far less gross. In Guyanese culture, there is a dichotomy between the religious leader of the house which is typically male and the “real” head of the house – Mom. Needless to say, nothing gets done unless the matriarchal head of house gives her approval. This is extremely progressive in my opinion and has led my family, at least, to be more socially aware, strong-minded, and overall tough people. It is kind of funny, whenever anyone has an important decision to make in my house, we always turn to my mother for advice and guidance. The parallels in Sierra Leone are truly remarkable. My final example is weak but still valid. Again, my family comes from Guyana South America where life is extremely different (compared to western tradition) especially in religious practicings. My parents have told me stories about how my ancestors used to engage in “Alternative Medicine” of course there were a plethora of names we knew it by, but the general concept remains the same. The whole Temple of Doom and Witchdoctor thing is very present in Guyana, even today. So what is the point of this? AMPs prescribe herbal remedies and pray for divine intervention rather than utilize vaccines, screening technologies, and antibiotics. I recognize that people are creatures of habit and gravitate to who or what is most familiar, however, if what is most familiar could potentially hurt them in the long term I simply cannot do not understand why they keep going back. To finish up this week’s post, I wanted to talk about specific cultural practices and how they could be leveraged to address community and market problems. In Sierra Leone, the ancient tradition of storytelling is extremely popular and can be leveraged to be used as a marketing strategy. How might we utilize this tradition to our advantage? 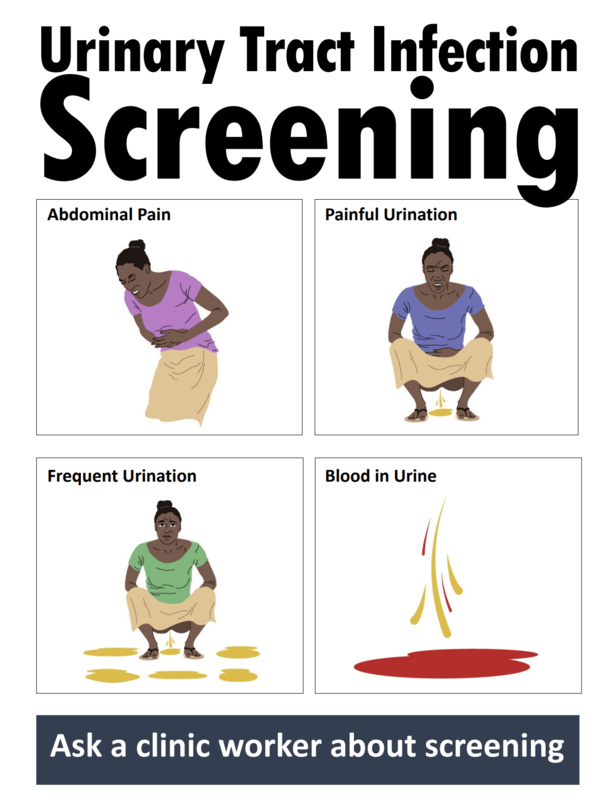 How can we get the people most need sensitized to UTIs and aware of Ukweli? Our current answer is in creating a drama. In class, we discussed a venture in India that used the storytelling tradition to express how a drip irrigation changed the life of an individual and her family. We want to use the same idea: create a drama that can relate to populaces affected by UTIs and introduce the Ukweli as a possible solution. Community health workers are faced with many challenges, and it is often difficult to get a large number of them in the same place at the same time. However, the current healthcare system has some interesting features that could be leveraged for the dissemination of test strip boxes. CHWs all meet at a central clinic on a specific day for refresher training, reports, resources, and most importantly payment. Why is the payment the most important? CHWs are not in the business of making money, often they expend their own capital for the needs of their community so this payment acts as a cost recovery system. We hope to utilize these payment schedule days to initiate training and certify CHWs as Ukweli CHWs. We can reduce our own overhead by conducting these training sessions when there are large numbers of CHWs in the same place.